The world has gone digital: information, decision making, multimedia. And computers are not just on desktops; they’re embedded in everything from cameras and copy machines to medical equipment. However, the changes didn't happen all at once. And so industries from health care to entertainment face a dilemma. Resources are on little islands. Computers can't talk to each other. There can be a range of obstacles getting computers to work together: different operating systems, different programming and database languages, legacy systems that no longer have vendor support. There can also be a range of consequences to poor integration. On the one end, business operations may not be efficient. At the other extreme, there can be security breaches or malfunctioning equipment. This is why system integrators are so important. Systems integrators are concerned with interoperability – with getting software (and sometimes hardware) to work together. Some system integration engineers make alterations to existing systems. Some design new systems that incorporate multiple technologies. The integration engineers’ work ensures that new information is dispersed right away, that everyone gets the benefit of it, and that users have a consistent interface to work with. Job duties can include conducting project reviews, evaluating patches, designing automation software, and planning for release management. At the higher levels, the job might include project management and system integration architecture. The system integration engineer might work with various development teams to ensure interoperability. Computers can't talk to each other! Systems integrators may work primarily with information technologies systems or they may work with embedded technologies; there can of course be a blurry line between the two. 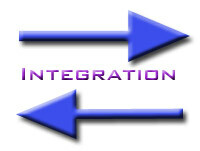 Integration application engineers are primarily concerned with integrating enterprise systems. System engineers work in entertainment, health care, defense, and the traditional corporate world. Many work for consulting firms. A systems integration engineer needs knowledge of hardware and software, and the networks that connect them. Jobs in systems engineering typically require education at the baccalaureate level or higher. A person’s undergraduate degree isn't necessarily going to be in systems integration per se, though there are some programs that emphasize the discipline. 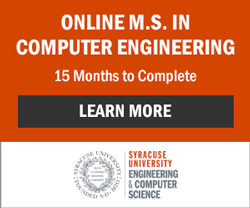 A degree in an engineering discipline makes a good foundation for some systems integration positions; degrees like computer science are just fine for others. Even if the school doesn't have a track in systems integration, a student may be able to do significant coursework and fieldwork in it. It is even possible, through electives and design projects, to focus on a particular sector like health care. A strong candidate knows more than just the technical stuff. Knowledge of regulations and even jargon can be important. A professional may opt to do a master’s or post-degree certificate in systems integration engineering. Coursework may include hardware/ software integration, requirements analysis, verification and validation, project management, and information security. Certifications can be a good complement to formal education; they show that an engineer is up on the latest technology. Some systems engineers may want to pursue Enterprise Integration Engineer certification. This provides validation that they can define requirements (from business as well as technological standpoints), perform integration, and offer continued support. Many certifications are specific to particular vendors, for example, Microsoft, IBM, or Cisco. IBM offers Integration and Connectivity certifications like IBM Certified Integration Developer - WebSphere Enterprise Service Bus V7.0. Testing covers Service Oriented Architecture, Java programming, and Java Platform, Enterprise. Various certifications can prove valuable, depending on particular job roles and the types of systems a person works in. CCNP Voice would be an option for a person who specialized in integrating network architectures. CCNP Voice measures a candidate’s skills at implementing, troubleshooting, and integrating Cisco Unified Communications Applications.